Charles Klimas has been working with individuals and businesses in the area for several years, and has extensive personal and professional experience. Mike Zook has worked with financial matters involving agriculture in Montana’s Golden Triangle area for the past twenty years. They hold various professional licenses, and are licensed to sell a variety of investment and insurance products. Our office is dedicated to developing lasting relationships with all our clients. 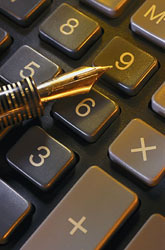 We believe in helping you assess your financial goals and participate in the management of your finances.